A dry well system is an underground water drainage system that collects runoff from roofs, driveways, and the yard. In some homes, dry wells are also used to move gray water coming from baths, kitchen sinks, and washing machines. If you have a dry well installed on your property that has problems, call VAC-TEC, LLC for dry well repair in the Duvall, WA area. Dry wells come in various sizes and complexities but the function remains the same. Not all properties are suitable for a dry well system in the Duvall area. To figure out which drainage system is suitable for your property, compare the working of dry well vs. French drain. A French drain is a trench filled with gravels and resembles a horizontal dry well that is not covered. A French well can also be directed into a dry well system. We are here to help you restore your dry well system to its most productive state. Homeowners have options for choosing an appropriate outdoor drainage system for their homes. 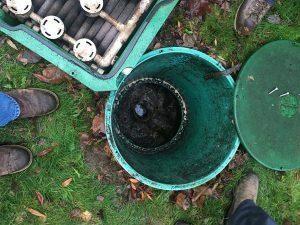 For those of you who have a dry well system and are facing dry well problems in your Duvall area home, our expert technician are always ready to help. The dry well system relies on gravity and directs the flow of water into the ground. It is safe and does not often have problems if it is maintained properly. 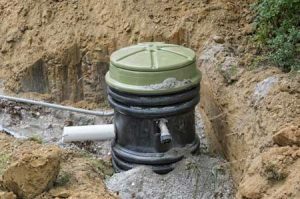 Sometimes dry well problems happen and you need reliable dry well repair professionals. Call us quickly to have your dry well problems fixed. For dry well repair services in the Duvall area, call the experts at VAC-TEC, LLC at (206) 339-0039. Our knowledgeable technicians have a thorough know-how of dry well systems and their issues.